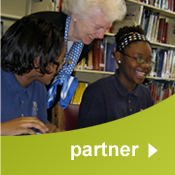 Our network increases the capacity of our mission-driven lending partners. We do this by creating new tools for our lending partners to manage liquidity, portfolio concentration, loan limits, and other challenges that hinder the growth of community development finance. 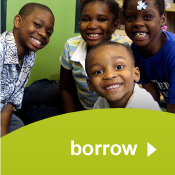 Our network also increases the capacity of our lending partners through peer learning and information exchange. This helps these CDFIs better serve their often specialized target markets. We also help to increase the deployment levels of lending partners that have excess capital available. This enhances the earned income and financial viability of all participants, making CDFIs a more permanent presence for borrowers that lack access to the traditional financial services industry. And a CDFI that is under deployed today may be over-subscribed at the same time next year. Access to a network enables CDFIs to better respond to the needs of borrowers when that time comes. We enhance the public policy environment by educating stakeholders about the effectiveness of CDFIs as a means of promoting access to capital achieve economic justice outcomes. We lead and participate in advocacy efforts to increase the visibility of the CDFI sector through intra-industry advocacy collaboration that secure greater access Federal resources (e.g. letter campaigns, public comments, etc.). We have built a strong partnership with the Community Development Bankers Association and seek opportunities to support initiatives that support our mutual program goals. CapNexus is a searchable online database that matches money and partners to community development finance opportunities. 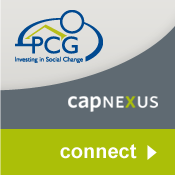 PCG launched CapNexus in 2012 to help loan originators, interested buyers, and financing partners to efficiently meet. CapNexus enables mission driven capital to get to the borrowers and places that need it -- when they need it. A 56,000 square ft. mixed-use residential and commercial building, The Auburn is a central component of Detroit's "Live Midtown" incentive program. PCG helped finance the development, including affordable apartments and commercial spaces in the building.